Does the iMPC app require Akai MPC hardware? Are all of the included samples with the iMPC app royalty free? Does the iMPC app have built in effects? Will I be able to record my own samples in the iMPC app? Can I add my own samples from my desktop sample collection? How do I get my Note Repeat to Latch ON? If I accidentally record over something will I be able to undo that action? How do the transport controls in iMPC app work? Why is my record button not engaging? How many tracks does the iMPC app support? I want to record more tracks on my iPad. Is there any way to record more than 4 tracks? What different production modes are available within the iMPC app? Is iMPC compatible with external MIDI controllers? Does the iMPC App have a built-in piano roll or step sequencer? My samples continue to play even after I press stop. How can I stop all of my samples so I can continue to produce my track? How much sound content is included with the iMPC iPad app? What Apple devices is the iMPC iPad app compatible with? Can I sync multiple iOS devices together both running the iMPC iPad app? How much sound content is included with the iMPC iPhone app? What Apple devices is the iMPC iPhone app compatible with? Can I sync multiple iOS devices together both running the iMPC iPhone and iPod Touch app? Is there an Android compatible MPC app? Does the iMPC support Audiobus or Jack audio and MIDI routing? Does the iMPC app support Apple Airplay audio output? Will there be in-app purchases, and downloadable content? Can I paste segments of audio from other music apps? Can I share my songs directly to social media websites? Can I upload my created iMPC songs and projects to my MPC desktop software? Can I import songs from my computer based MPC software to the iMPC app? I created an iMPC project with 4 tracks. When I load the exported project into my MPC hardware or MPC Software I only see one track. Where are the rest of my tracks? Does the iMPC app require Akai Professional MPC hardware? A: No. The iMPC app will function as a standalone app. MPC hardware is not required. Note, the virtual Pads on the iPad screen are not velocity sensitive. However, the iMPC app will respond to MIDI velocity messages from an external MIDI devices, such as the MPC1000, MPC Element, etc. A: Yes. All samples included with the iMPC app are royalty free, and will not require any subsequent royalties to use them in your original productions. A: Yes. The iMPC app includes 3 built-in effects: delay, bit crusher, master compressor/limiter. A: Yes. The iMPC app has a built in sampler capable of recording up to 10 seconds. You can record from the internal mic or directly from the line input. Additionally you can sample from any music file within your iTunes Music on the iPad. A: Yes. You can import your own samples through iTunes File Sharing in the apps menu for your iPad. All samples must be in .WAV format. A: Simply press/hold the Note Repeat button and drag you finger away to maintain ON (down) button position. Press again to release Latch. A: Yes. The iMPC app has the ability to Undo or Redo. The iMPC app does not feature multi-level undo. 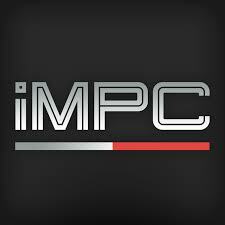 A: The iMPC app was modeled after the legendary MPC1000. All transport will operate as they did on MPC1000. A: To record over a playing track, press and hold the Overdub button. While you continue to hold the Overdub button, press the Play button. A: The iMPC app allows for recording of to 4 tracks within the app itself. Import your project into the MPC desktop software to continue developing your track. A: Yes. Running Retronyms free Tabletop app, you can run multiple instances of the iMPC app allowing for a total of 8 tracks. A: The iMPC app includes a Mixer, FX section, and a Sampler. A: The iMPC app supports Apple's core MIDI standard, and will accept MIDI messages from compliant MIDI devices. For example, the MPC Element, when in low power mode, will interface with iMPC without any MIDI mapping. Class compliant USB audio interfaces, MIDI controllers and keyboards can be connected to the iPad using the Apple iPad Camera Connection Kit. A class compliant device is one that doesn't require extra drivers to connect your Windows or Macintosh computer, or to your iPad. Class compliant devices use drivers which are built into the host (i.e. the computer or the iPad) operating system. To find out if your USB audio or MIDI device is class compliant, check the manufacturer's web page. If it connects automatically to any computer without requiring you to install drivers from a website or a disk, it is probably class compliant. Many USB devices draw their power right from the USB cable that connects them to their host (a computer or an iPad). The iPad can also supply power to connected USB devices. The USB ports on computers supply 5V and 100mA-500mA of power. However, through the course of several updates and revisions, Apple has decreased the amount of electrical power the iPad is allowed to supply connected USB devices. This means that some devices that draw only a little power can power themselves off of what the iPad supplies. However, devices that require more power may not find the iPad USB connection sufficient. Furthermore, Apple can and has altered how much power the iPad can offer connected devices. So, what may have worked in the past, may not necessarily work in the future. If the device you are connecting requires more power than the iPad can supply, connect it to an AC powered USB hub. Powered USB hubs have AC power adapters that connect them to an electrical socket on the wall. This will help ensure any connected devices have enough power to operate. A: No. However, you can access a piano roll or step sequencer editing window by running the iMPC through Retronyms free Tabletop app. A: Some longer samples will continue to play out, even after track playback has stopped. To stop all playback, as well as longer triggered samples, double press the stop button twice. A: More than 1,200 samples (200+ MB) including exclusive iMPC sound sets, and the Akai Professional classic sound library. A: Requires iOS 5.1 or later. Compatible with iPad. A: Yes. The iMPC iPad software supports syncing up to 2 iPad’s together. Syncing multiple iPad’s uses Korg’s WIST technology. To enable WIST click the wrench icon in the top right corner of the iMPC app. A: Requires iOS 5.1 or later. Compatible with iPhone, and iPod touch. This app is optimized for iPhone 5. A: No. At this time syncing between multiple iOS devices using the iMPC iPhone and iPod Touch app is not an available option. A: The iMPC app is available for iOS and is not supported on Android tables or devices. A: The iMPC app does not currently support Audiobus or Jack. However, we are looking into these features for a possible future update. A: Streaming iMPC audio through Apple Airplay the iMPC is not supported. A: Yes. We are always looking to add new content for our users. Additional content will be available within the iMPC app itself when it is available. A: Yes. The iMPC appsupports Sonoma Wire Works AudioCopy, and AudioPaste from other compatible audio apps. Click here for more information about AudioCopy and a list of compatible apps. Yes. iMPC has an in-app SoundCloud community, powered by CloudSeede. You also have the ability to directly share on SoundCloud, Facebook, Twitter, Tumblr. A: Yes. You can export your songs directly through iTunes to your computer. All iMPC projects are exported in MPC1000 format. All exports include a Project file, Sequence data, and all Wav files used on the pads. A: No. The iMPC app does not have the ability to import project files that have been created or edited on desktop MPC software or standalone MPC hardware. I created an iMPC project with 4 tracks. When I load the exported project into my MPC hardware or MPC desktop software I only see one track. Where are the rest of my tracks? A: All 4 iMPC tracks and programs are combined into one in the exported MPC1000 format project. When you load the exported project on your MPC hardware or in the MPC desktop software (included with the MPC Renaissance and Studio), you'll find that the 4 programs created within the iMPC app are now spread across banks A, B, C, D.